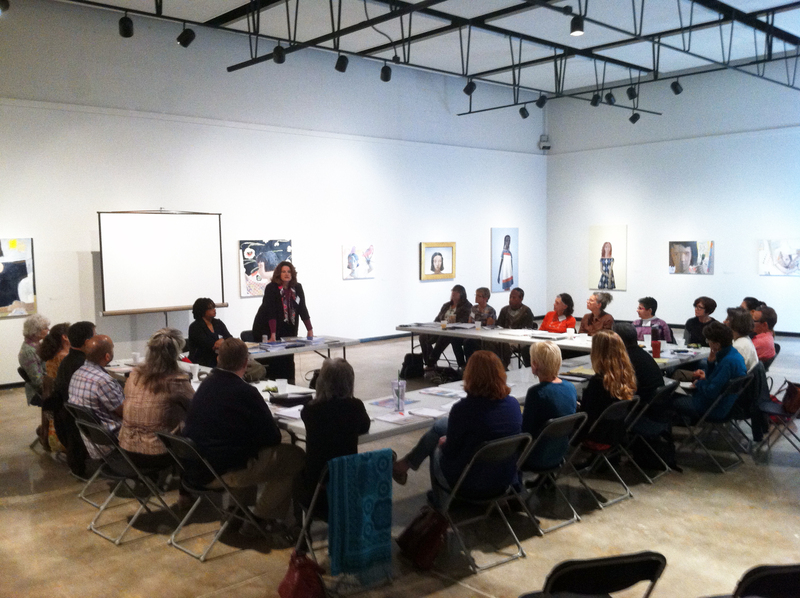 This past weekend, the Florida Division of Cultural Affairs along with Citizens for Florida Arts, Inc. partnered with the Creative Capital Foundation to offer a Professional Development Workshop to 24 artists from across the state of Florida that work in a variety of disciplines. This intensive two and a half days were a crash course in self-management, strategic planning, fundraising and promotion. 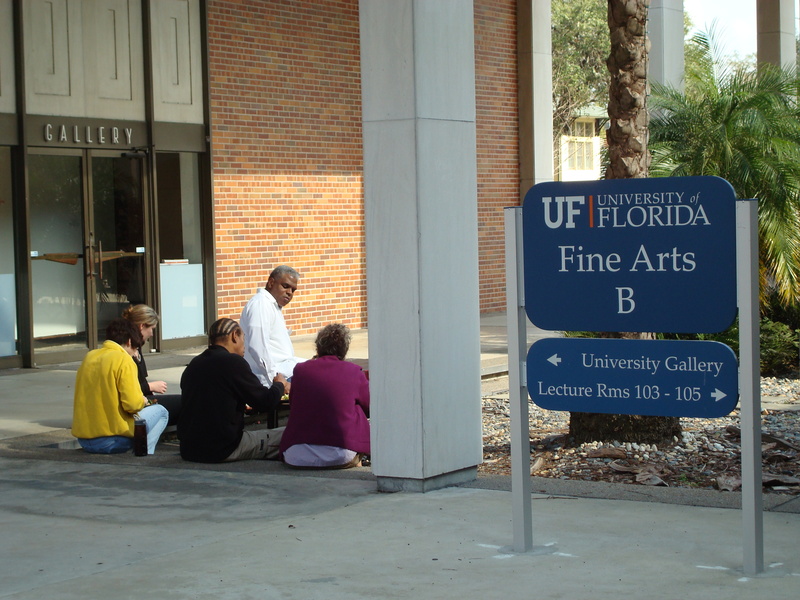 The full weekend of lectures, peer critiques, one-on-one consultations, and interactive exercises took place in the beautiful University Gallery and nearby classrooms at the University of Florida in Gainesville. The workshop leaders included Colleen Keegan, Aaron Landsman, Jackie Battenfield (if you’re near Sarasota, check out Jackie’s exhibition at the Allyn Gallup Contemporary Art gallery on display through February 9), César Cornejo, and Beverly McIver. For more information, you should check out Jackie’s book The Artist’s Guide: How to Make a Living Doing What You Love as well as the HBO Documentary Raising Renee about Beverly. By sharing their personal experiences and numerous resources, these artists and administrators provided the tools and methods that will help attendees manage the business side of their art with greater efficiency and results, allowing them to expand their skills and build more sustainable careers. 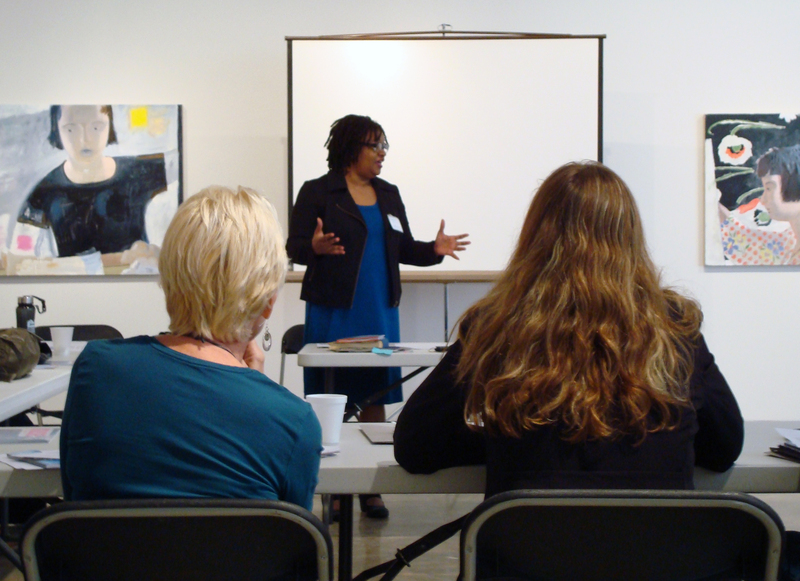 Beverly McIver explains how she worked towards achieving her own goals during the Strategic Planning session. Participating artists enjoying lunch outside the gallery. Workshop leaders and artists sharing stories and discussing their work. 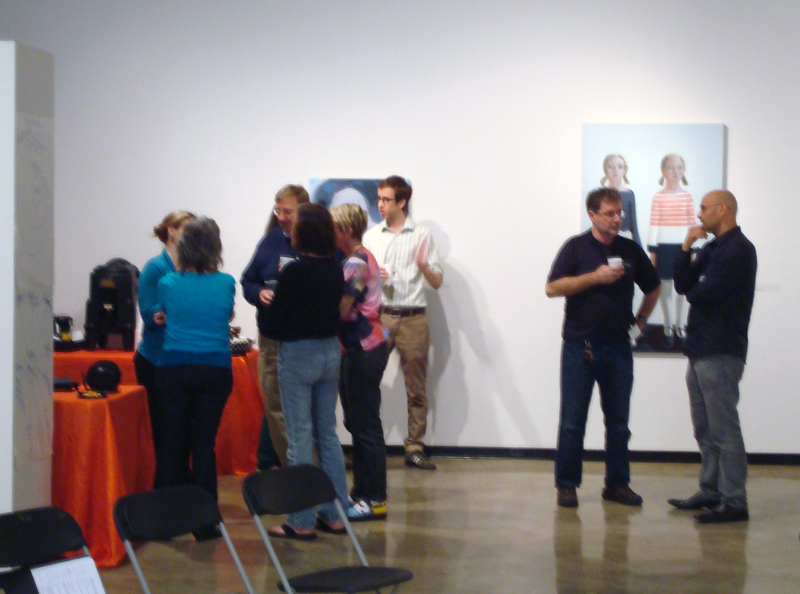 Participating artist Julia Morrisroe describes an upcoming exhibition during Targeted Marketing. 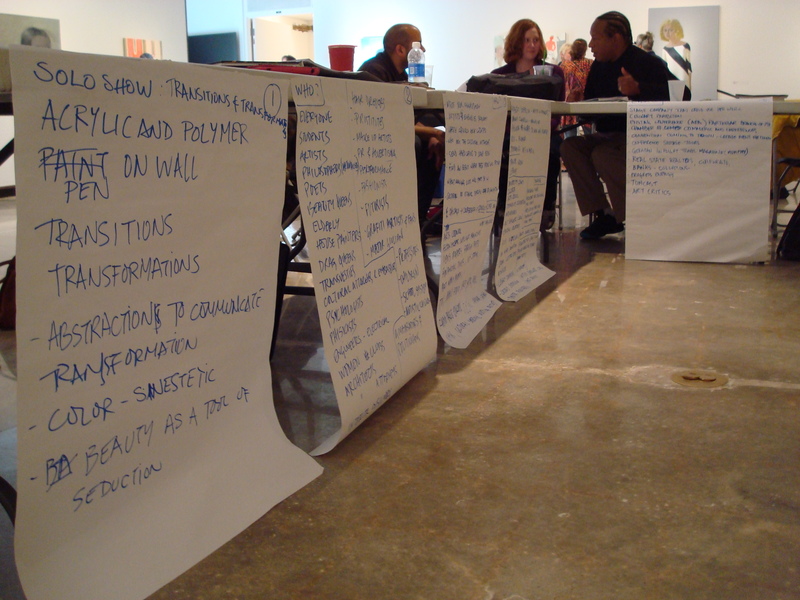 Here are the results we came up with during our Targeted Marketing brainstorming session. Artists and workshop leaders take advantage of the beautiful January weather by meeting outside. 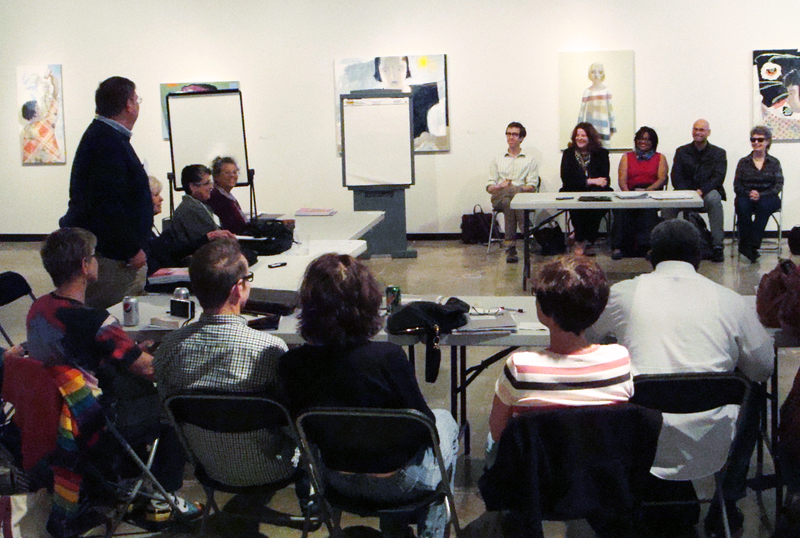 Participating artist Richard Seidel thanks the workshop leaders for the uplifting weekend. Creative Capital is a national nonprofit organization dedicated to providing integrated financial and advisory support to artists pursuing adventurous projects in five disciplines: Emerging Fields, Film/Video, Literature, Performing Arts and Visual Arts. Working in long-term partnership with artists, Creative Capital’s pioneering approach to support combines funding, counsel and career development services to enable a project’s success and foster a sustainable practice for its grantees. In its first decade, Creative Capital has committed more than $20 million in financial and advisory support to 325 projects representing 406 artists, and has reached an additional 3,700 artists around the country through its Professional Development Program. The Division of Cultural Affairs partnered in presenting this program because we firmly believe that providing support and resources to Florida’s Individual Artists helps all of Florida’s cultural landscape. 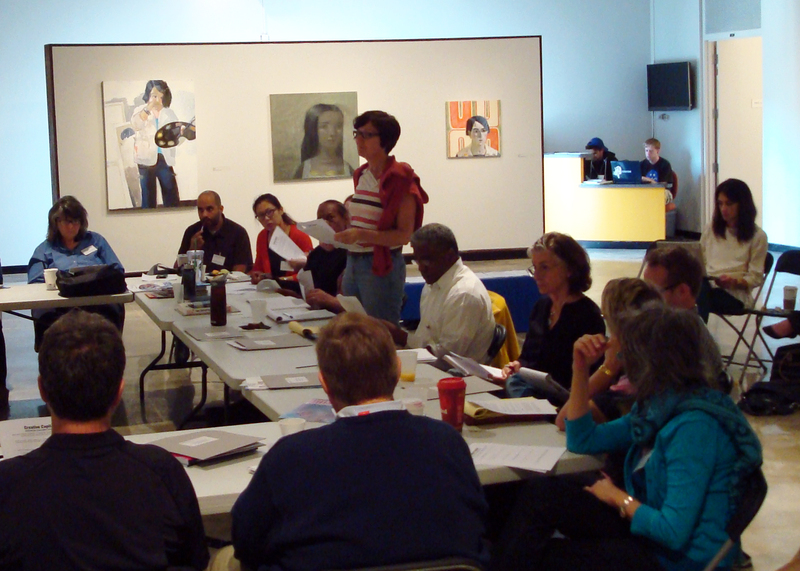 The Division has offered professional development opportunities like this workshop for Florida artists since 2006. Through these opportunities, over 250 artists have been trained in career-building skills such as marketing, time management, fundraising, and strategic planning. 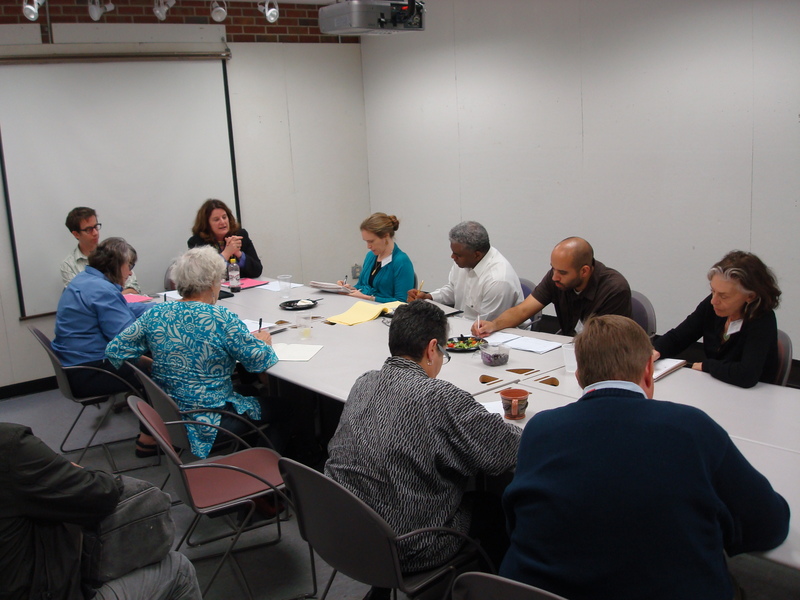 Additionally, the Division offers one grant program for individual artists, the Individual Artist Fellowship Program. The Fellowship Program provides monetary fellowships to Florida Artists to support their work and careers and to recognize the outstanding talent and artistic contributions of Florida artists. Individual artists enrich our communities and the world around us, and their works highlight our state’s diversity and create connections to our history. Spending time with these artists and learning about their endeavors during the workshop reminded all of us that Florida is a special place to live and work. Thank you to everyone for a wonderful weekend! 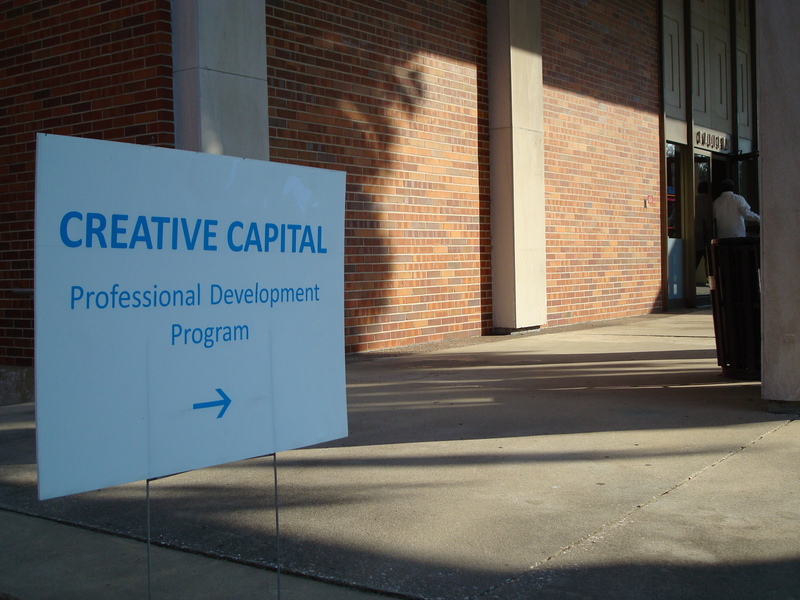 We are especially grateful to the workshop leaders from Creative Capital and the helpful staff and administrators at the University of Florida College of Fine Arts. We look forward to seeing where these artists take their careers from here!